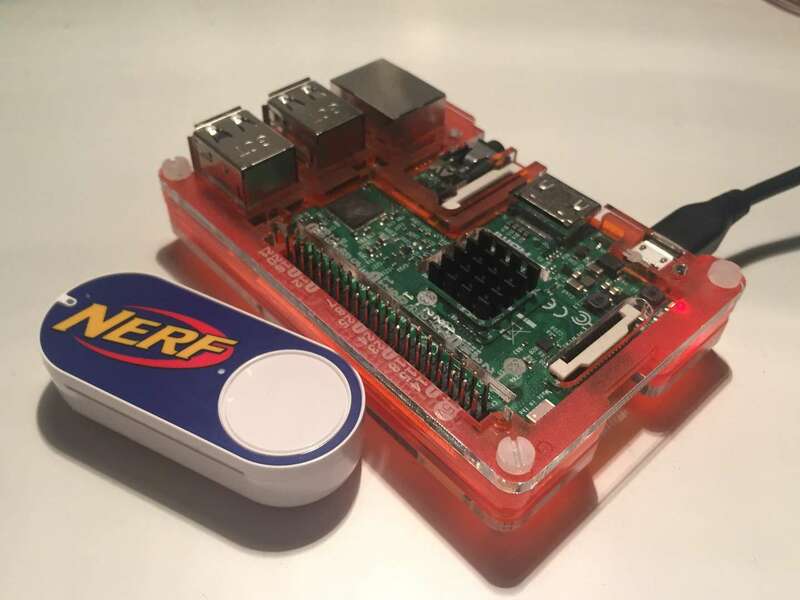 This guide will walk you through the process setting up your Raspberry Pi and Amazon Dash Button to send notifications to a Slack channel. Notify coworkers when a new shipment of Red Bull is on its way or when to take cover from an imminent Nerf invasion by the accounting department. I'll be using a Raspberry Pi 3 Model B running Raspbian Stretch Lite and a basic $5 Amazon Dash Button. You can check to make sure everything was successful by running node -v.
You can check to make sure installing NPM v4 was successful by running npm -v.
I'll be using Node.js v8.9.0 and NPM v4.6.1 to write this guide. These commands will download the Dashgong script from a forked version of the original repository. I forked the repository and made some minor tweaks specifically for this guide in an effort to simplify the installation process. You can find the original repository here. To set up your Amazon dash button for sending messages to Slack, we'll need to go through most of the standard setup procedure. 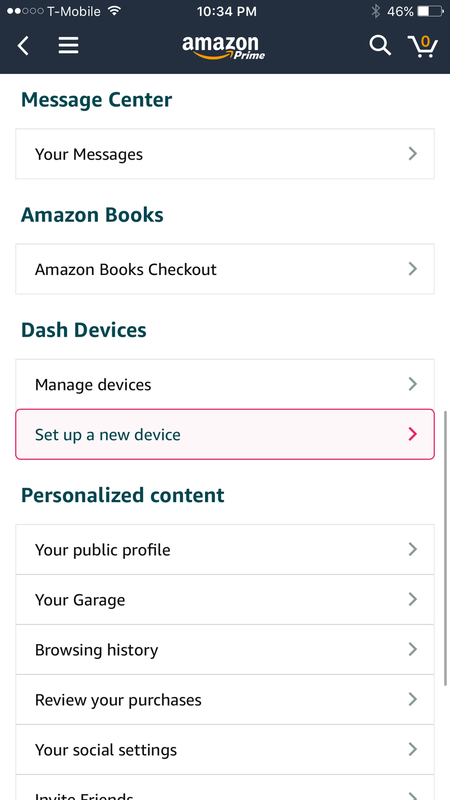 First, install the official Amazon app for iOS or Android. From the menu in the top left corner, select My Account. Next, select Set up a new device under the "Dash Buttons & Devices" section and choose Dash Button. Continue with the setup until you get to the "Select a product" step. From here, force close the app without selecting a product. Don't click the X, just close the app. Press the dash button and wait for a response that includes the dash button's MAC address. The message may contain the text "Manufacturer: Amazon Technologies Inc.", but it may not depending on where your specific dash button was manufactured. In any case, it will have the form "FF:FF:FF:FF:FF:FF". The first six hexadecimal characters correspond to a specific Amazon vendor and the last six hexadecimal characters correspond to your specific dash button. To make things a bit easier, you can reference this list of Amazon vendor MAC prefixes. Write down the MAC address so it can be added to the Dashgong configuration file in a later step. There will likely be multiple ARP requests being made across your home network, which can be confusing. You may need to press the dash button multiple times to ensure you found the correct device MAC. Select the Slack workspace you'd like to work with from the dropdown menu in the top right corner. Then, select the channel you'd like to set up an incoming webhook for and click the button labeled "Add incoming WebHooks integration". Copy this URL to your clipboard so that it can be pasted into the Dashgong configuration file in the next step. Replace the text DASH_BUTTON_MAC with the dash button's MAC address we obtained in step 5. Replace the text SLACK_WEBHOOK_URL with the Slack webhook URL we obtain in step 6. Don't worry about any of the logging settings. We are going to set this up perfectly first try, so we won't need any logging. This next step is only required if you want your Raspberry Pi to run the script on startup. That way, you avoid having to manually run the script any time you reboot. To achieve this, we will be using a program called Supervisor, which provides a platform for simple process management. Now everything should be set up and ready to go! Just reboot the Raspberry Pi by running sudo reboot, press the dash button, and wait for the notification to appear in your Slack channel! If you chose to skip the step to automatically start the Dashgong script on boot, you can manually start it by running sudo node index.js from the "dashgong-master" directory. If you encounter any problems, leave a comment below or log an issue on my fork of the Dashgong repository and I'll be happy to help you troubleshoot! You may have noticed that the dash button will not send multiple messages back to back. This is because the Dashgong script has a hardcoded 60000 millisecond timeout. Don't worry, you can easily change this by modifying index.js. Change the value 60000 to whatever you like. Remember, this value is in milliseconds. The dash button itself has a built in timeout of about 5 seconds. Any value below 5000 will remove any timeout control from the Dashgong script. Guides for our favorite messaging app!